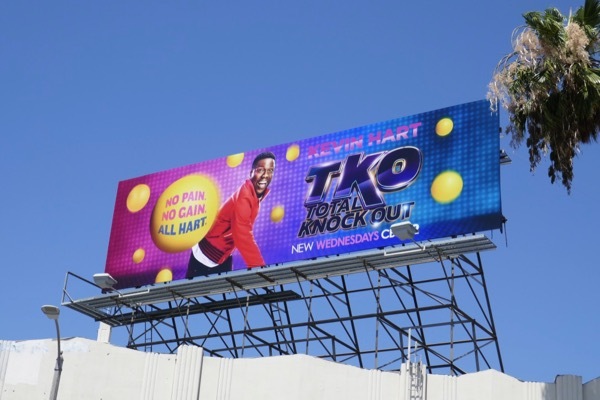 Just when you thought Kevin Hart couldn't be any busier starring in blockbuster movies and performing comedy stand-up, he's back with a new TV game show to keep you entertained this summer. 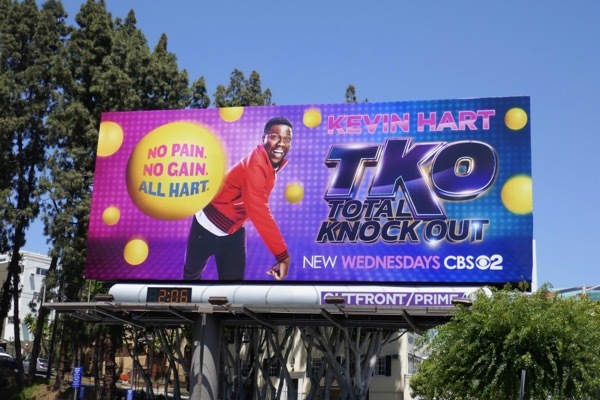 TKO: Total Knock Out sees the superstar comedian host an obstacle course competition series where ordinary people from all walks of life run the gauntlet whilst being targeted by four other contestants trying to slow them down and trip them up. The fastest finisher takes home the cash prize. 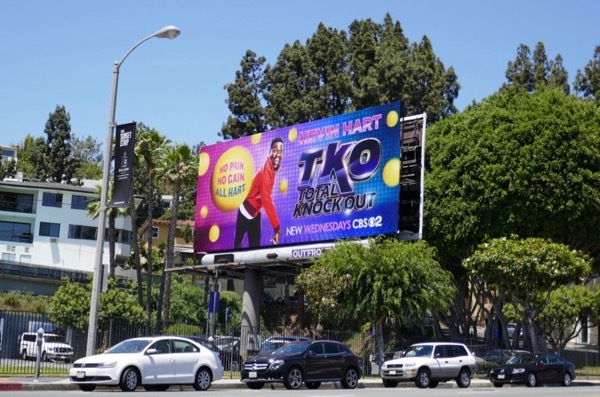 These colourful series launch billboards were snapped along the Sunset Strip and Fairfax Avenue from June 28 to July 13, 2018. 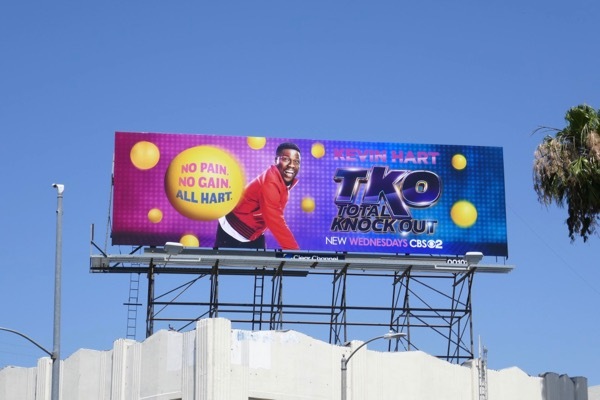 Kevin Hart fans can also also enjoy these Ride Along movie billboards, these Jumanji: Welcome to the Jungle movie billboards and these Central Intelligence movie billboards, to name but a few. 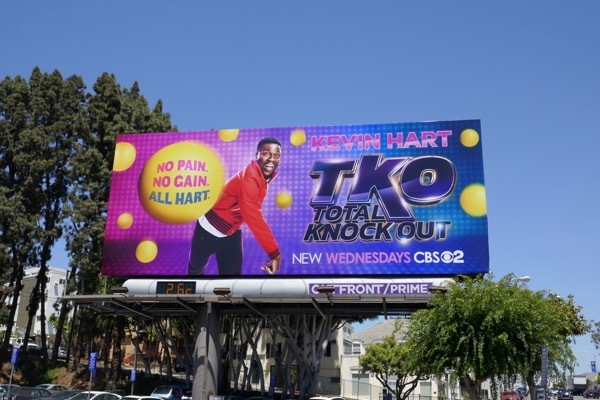 Now, let the summer fun and games begin.